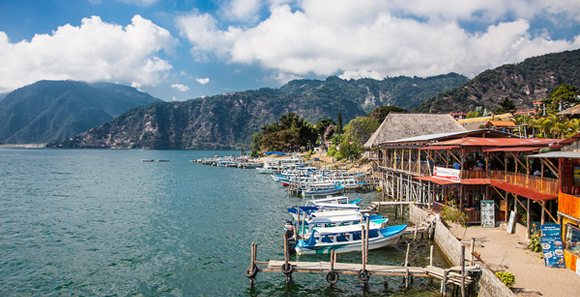 Whether you're already living in Lake Atitlan or preparing to move to Lake Atitlan, our Expat Guide to Living in Guatemala offers articles and reports submitted by expats about expat life in Lake Atitlan. For answers to specific questions, visit our Guatemala Forum to talk with expats in Lake Atitlan. An expat in Guatemala talks about why expats move to Lake Atitlan - from the eternal springtime weather to the low cost of living to the laid-back lifestyle. He also covers topics such as residency in Guatemala, proximity to quality healthcare, nightlife and schools in the Lake Atitlan area. What are people's priorities in Lake Atitlan - work? family? socializing? What are the best ways to meet other expats? Are people accepting of racial, cultural and religious differences? Help other expats and people moving to Lake Atitlan by filling out our Living Overseas Report. What should you take with you when you move to Lake Atitlan? What should you leave behind? What type of housing and neighborhoods are typical for expats in Lake Atitlan? Help others moving to Lake Atitlan by filling out our Moving Overseas Report. Retiring abroad can be a great option for retirees seeking their dream lifestyle at an affordable price. Help other retirees, who are thinking about retiring in Lake Atitlan by filling out our Overseas Retirement report. How did expats choose their doctors, midwives, hospitals? What is childbirth like in Lake Atitlan? Help other expats who are preparing to have a baby in Lake Atitlan by filling out our Having a Baby Abroad Report. What's it like to find a job in Lake Atitlan? How difficult was it to obtain a work permit? What types are jobs are typical for expats in Lake Atitlan? Help others following in your footsteps by filling out our Working Abroad Report.